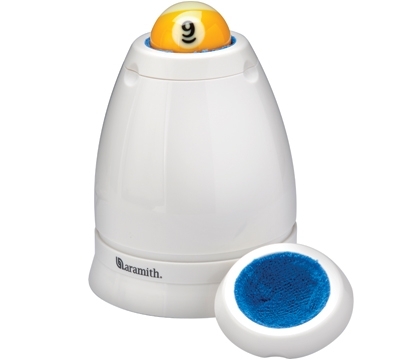 The Aramith Power Ball Cleaner is a motorized individual ball cleaner that will give your balls a first-class treatment. It uses a circular rubbing motion to gently massage and rub off any chalk marks, stains, or sticky residue from the ball in as little as 45 seconds. It cleans instantly and smoothly. Measures 5.75" x 7.5" and comes with 2 cleaning pads.